5starRocket offers a powerful online review management feature to help you increase the response rates of your customers improving your online reputation. Email reminders are powerful and easy to set up. Once you are logged in your dashboard head over to Settings → Emails. 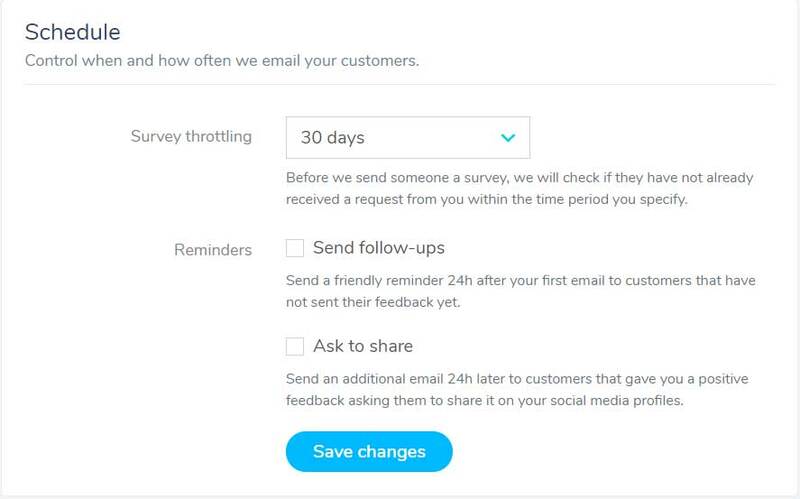 Once the “Send follow-ups check box” is checked, 5StarRocket will send a friendly reminder 24 hours after your first email to customers that have not sent their feedback yet. Click here to get more information on the Settings Tab.